The AC-DC Splitter is used to interconnect a detector, a preamplifier and a pico-ammeter. The AC-DC Splitter decouples the AC part from the DC part of the detector signal. This allows single particles to be recorded on the AC path and the detector current to be measured on the DC path. 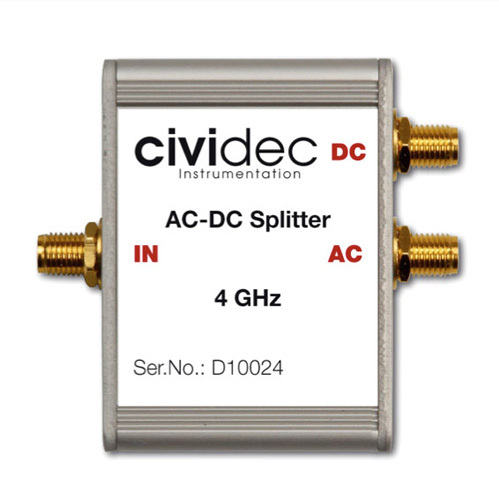 The AC-DC Splitter is used for the DC measurement in Beam Loss Monitors and in combination with the D4 Attenuator set for High-Radiation Diamond Detectors.